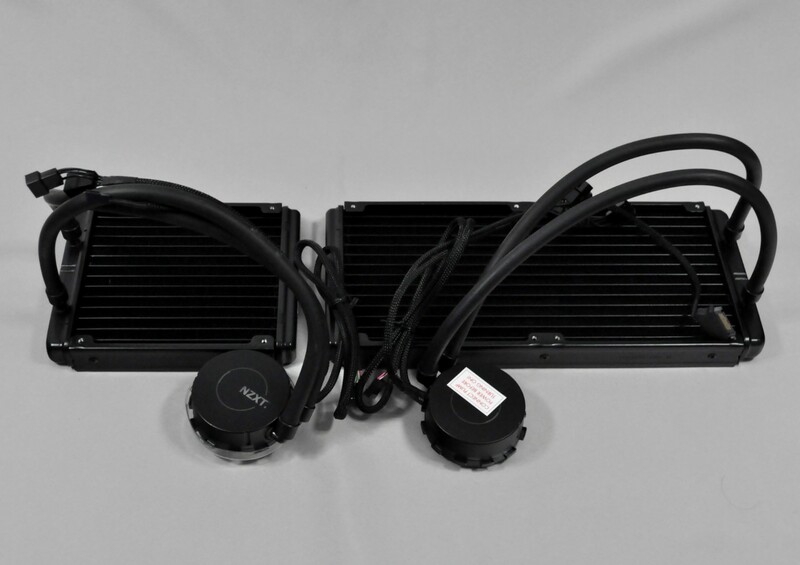 The two AIO coolers from Enermax that we had the chance to look at share a similarly sized, 120mm x 120mm radiator, yet they are absolutely nothing alike. The Liqmax 120S is a product designed with value in mind, to compete with AIO coolers in the league of the Cooler Master Seidon 120V and the Corsair H75. Its thermal performance is unimpressive, slightly worse than that of the Seidon 120V, yet the noise levels of the Liqmax 120S are considerably lower. It is unable to compete with the dual-fan H75 though, at least not while maintaining similar noise levels. The Liqtech 120X on the other hand is very impressive, especially in terms of quality and aesthetics. A simple inspection reveals that the radiator and block of the Liqtech 120X are much better made than those of most other kits. It delivers good thermal performance while maintaining very low noise levels, considering the size of its radiator and the use of 120mm fans. The downside is that the Liqtech 120X owes much of its good performance on the extra-thick radiator, which could lead to compatibility problems with some cases if there is not enough clearance. 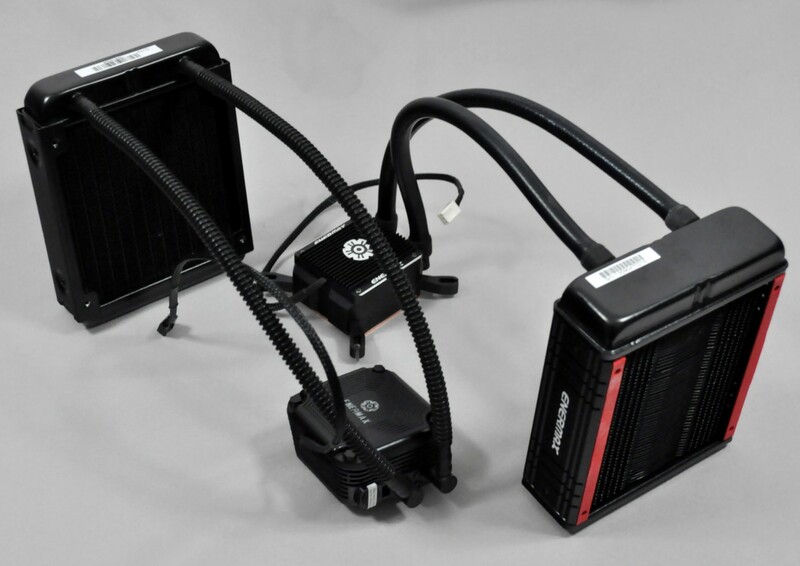 The only great problem that all AIO coolers from Enermax have is the low availability, as they currently are not available in North America at all and few retailers stock them in Europe. They can be imported to the US from Asia or Europe but that is a financially unrealistic option. NZXT currently offers only two high performance AIO coolers, both with 140mm wide radiators, which limits their compatibility significantly. On the other hand, they are the only coolers with extended (≈ 40cm) tubing, allowing the radiator to reach the front panel of a tower case. Still, the number of cases currently capable of supporting a 140mm wide radiator is quite limited. Both the Kraken X40 and the Kraken X60 performed well in our tests, offering thermal performance similar to other AIO coolers of the same class. Specifically, they offer lower thermal performance than Cooler Master's 140mm wide coolers but maintain reasonable noise levels, while they display about the same thermal performance as Corsair's offerings but are not as quiet. While better fans could have been selected, NZXT has a tremendous advantage over the competition; the Kraken X40 and Kraken X60 retail for about the same price as other 140mm wide AIO coolers but only NZXT's offerings feature a USB interface. The USB interface allows the user to monitor and fine-tune the performance/noise ratio of the cooling system directly from the desktop, as well as to program custom LED lighting colors and effects. 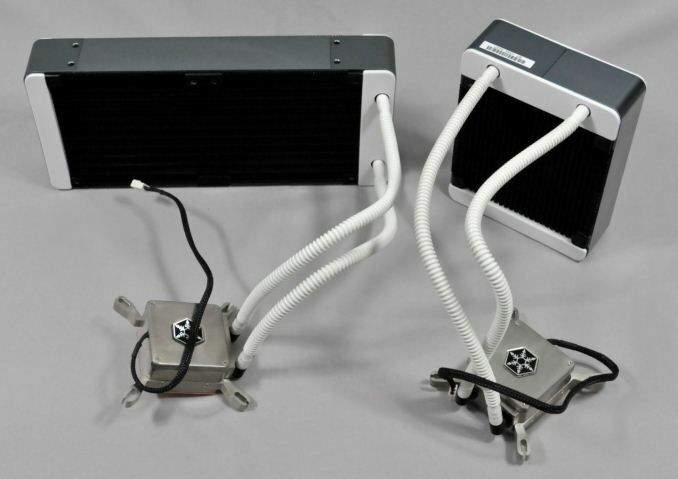 Silverstone currently offers only two AIO liquid coolers, the Tundra TD02 and the Tundra TD03, both of which we have tested in this review. They are both based on the same design, with their only difference being the size of the radiator. Although the design of the Tundra TD03 is similar to that of the Enermax Liqtech 120X, the aesthetic design of Silverstone's offerings is quite different, going with a white/grey/nickel color theme instead of Enermax's black/red. The OEM behind them might be the same, although that is a mere guess on our part, as the fin design and frame of the radiators are significantly different. The appearance, feel and quality of the Tundra TD02 and Tundra 03 are outstanding, greatly superior to that of most other kits. On the other hand, the overall performance of these kits actually disappointed us. It is by no means bad, as both of Silverstone's AIO coolers deliver thermal performance comparable to that of other similarly sized kits at reasonable noise levels and are especially efficient under low fan speeds. However, we expected a lot more from kits with radiators this thick and with such a classy appearance. The mediocre performance may be due to the narrow corrugated tubing, a weak pump, a wrong choice of fans, or any combination of the above, but the fact is that a performance upgrade is required in order to overtake the competition. Furthermore, we are unsure about the white/grey color theme, as it will most likely stand out way too much inside all-black cases and that is not always the desired effect. Still, the balance between quality, performance, and value is very good and Silverstone's AIO coolers will become a favorite among those who want to combine low-noise operation and good looks. Just make sure that the 45mm thick radiators will fit inside your system before purchasing one!